People always ask me one tip I can give them about blogging. One thing tip I can definitely give, not just for bloggers, but also for writers, and other professionals is to be original. It is not easy to come up with fresh, original content. And yes, laziness mental blackouts do happen to the best of us. While, it is not exactly bad to get ideas from other blogs or sources, it is always best to give it a different perspective, something to keep your readers interested. If people know you simply copy others works and ideas, people will get bored of you, and of course, lose trust. Credibility is one thing that is hard to earn, but easy to lose. Plagiarizing other people’s work is one of the easiest, fastest way to lose credibility. One word people… “PARAPHRASE.” But paraphrasing does not just mean using Shift+F7 or rearranging words. To express other’s people’s ideas using your own language, and yes, even injecting your own opinions, thoughts, or for some, wit and humor. 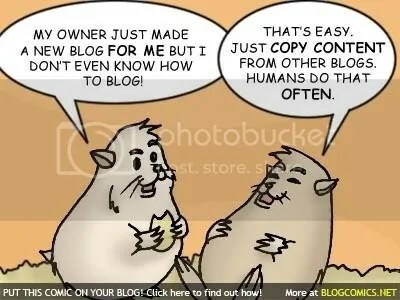 Don’t simply copy + paste articles and ideas. Analyze, critic, comment, expand, expound, react… one idea can be expressed in so many ways. Me, for example, I sometimes write about one event or thought across several blogs in several different ways or styles. While the event is not unique or one-of-a-kind, each post is original and interesting in different ways, for different people. So be original. Let your creative juices flow. Innovate.